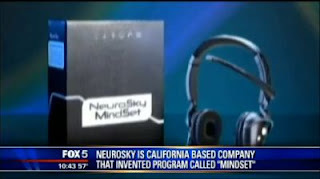 Neurosky has created a headset contraption called MindSet that works off of brainwaves, just like what doctors use when they do those EEG exams. But instead of examining those waves the MindSet reads them. For example they can use them as your password to log in to your accounts & it's as secure as your finger print. This is very cool no more forgotten passwords! I would totally use it. Click below to continue reading about Mind-controlled log in coming in the next few years.